A story about a singer-songwriter living a paycheck to paycheck reality, leaving no money to set aside for making a record. Raising a family has trumped Fitz Ryan's wildcard dream and that's why he turned to doing a Kickstarter project. 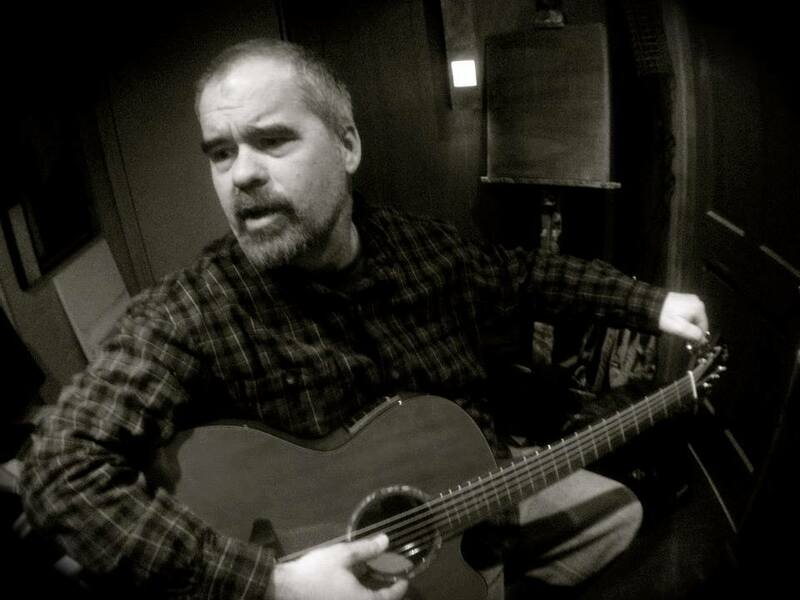 About 20 years ago, Fitz Ryan was about to have an album of his songs recorded by an almost famous band in Raleigh N.C. Shortly before the band made it into the studio, they did what most almost famous bands do. They broke up. Fitz got married had a couple of kids and Fitz’s album remained unrecorded. Though the years he always dreamed of being able to go into a studio and with a professional producer, bring his vision of what he intended these songs to sound like, to life. But as is the case with pretty much all working class folks, any money he hoped to set aside for his dream was needed for raising a family. From daycare to college tuition and everything in-between, paycheck to paycheck reality had pretty much trumped Fitz’s wildcard dream of producing his concept album that is based on Fitz’s life, growing up in the rural south. 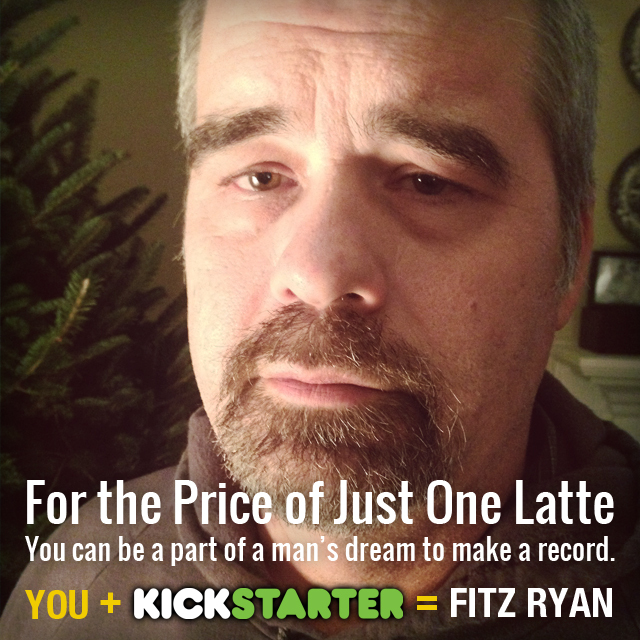 Until one day a friend who had backed about a dozen crowdfunding projects came up with the idea of “The Fitz Ryan Kickstarter Project”. Watch the Kickstarter video: http://kck.st/1cgzusG. The self titled album, which is a collection of songs that Fitz has been writing for more than half his life, will be produced by Greg Elkins of Pershing Hill Sound. The Kickstarter campaign goal is for $9,700. 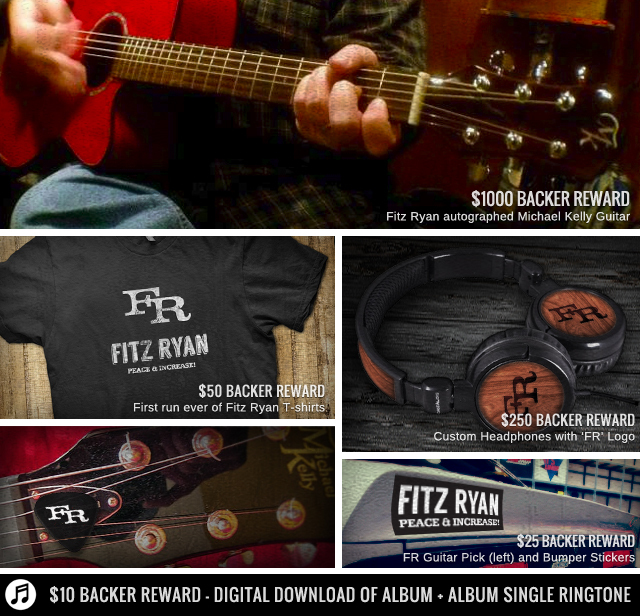 For various levels of pledge support, Fitz is offering some great gifts including Album Credits, Free Digital Downloads, Fitz Ryan Stickers, Fitz Ryan Guitar Picks, Fitz Ryan T-Shirts, Tickets to Fitz Ryan Shows, Fitz Ryan Custom Headphones, Your Name in a Fitz Ryan Song. For the top two tiers of support Fitz is offering a Free Concert at Your House and a Fitz Ryan Autographed Michael Kelly Guitar that will be used on the album. Fitz Ryan grew up in the small town of Redlawn, which is just south of South Hill, Virginia. His earliest musical influences came from his mother who would sing to him while driving the back roads of Virginia. Hank Williams, Flat & Scruggs, Chet Atkins, Johnny Cash, Roy Orbison, Kris Kristofferson, The Carter Family and Loretta Lynn were just some of the artist that shaped Fitz’s love of heartfelt, meaningful music. His lyrics mostly come from his own life experiences and poetry he had written as an angst filled young adult. He found that song-writing was a welcome avenue to process these thoughts and feelings. 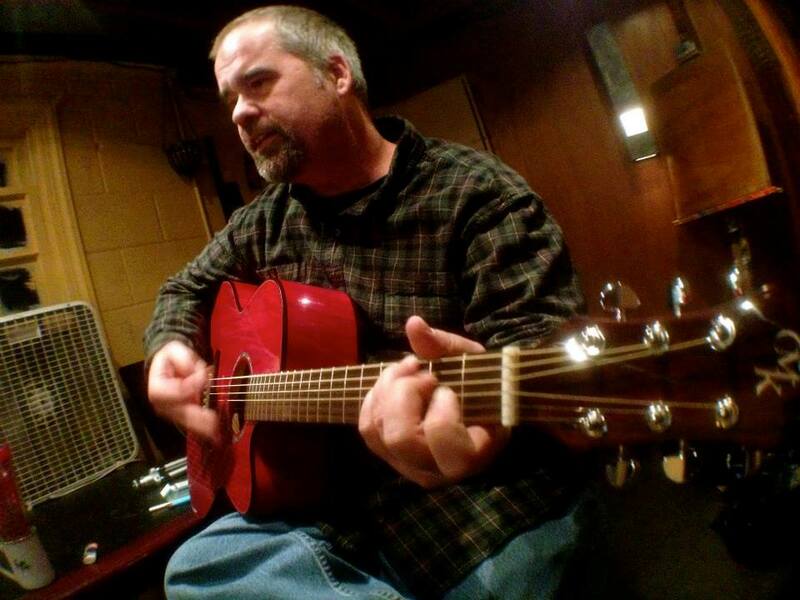 He continues to write and play music that a wide range of people can relate to as well as simply enjoy the humor and the truth in his lyrics. 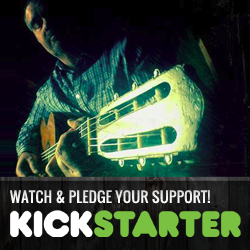 Follow Fitz Ryan as he tries to get his Kickstarter funded and dream record made. Down to the final nail-biting days of the campaign. For more info or interviews, please contact us.